This sled runs and rides great. Getsgreat gas mileage being a 4 stroke motor. I am only the second owner. This sled was only owned by adults and is well taken of. Never jumped or beat on. Only trail ridden. Oil changed and greased regularly. Has always been kept in the garage or in my sled trailer. Sled comes with a cover and2 windshields. Low mileage and ready for winter. 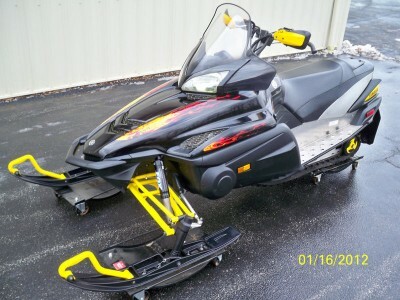 This sled needs nothing but snow and a rider.